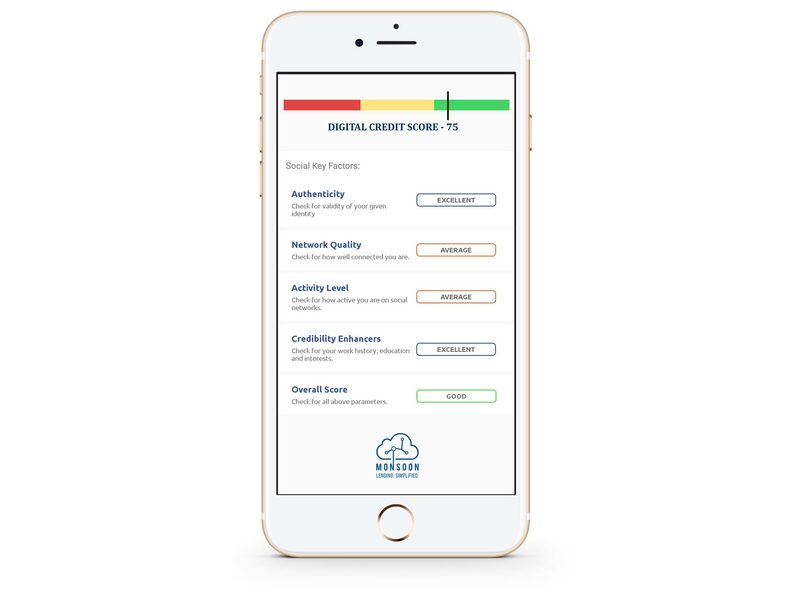 Our credit models allow us to evaluate an applicant's creditworthiness using the data on their mobile devices. 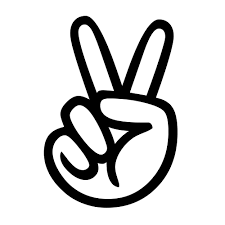 This means we can evaluate and score even those customers who have no formal credit or banking history. 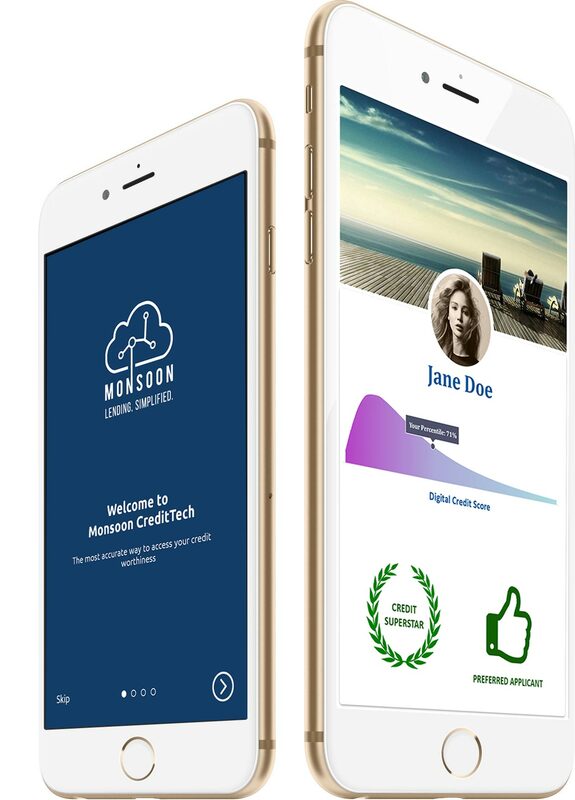 Monsoon’s proprietary digital score is a powerful predictor of an individual’s creditworthiness that accounts for his/her 'willingness to pay' in addition to the ‘ability to pay’. The higher the score percentile, the lower the propensity to default. . 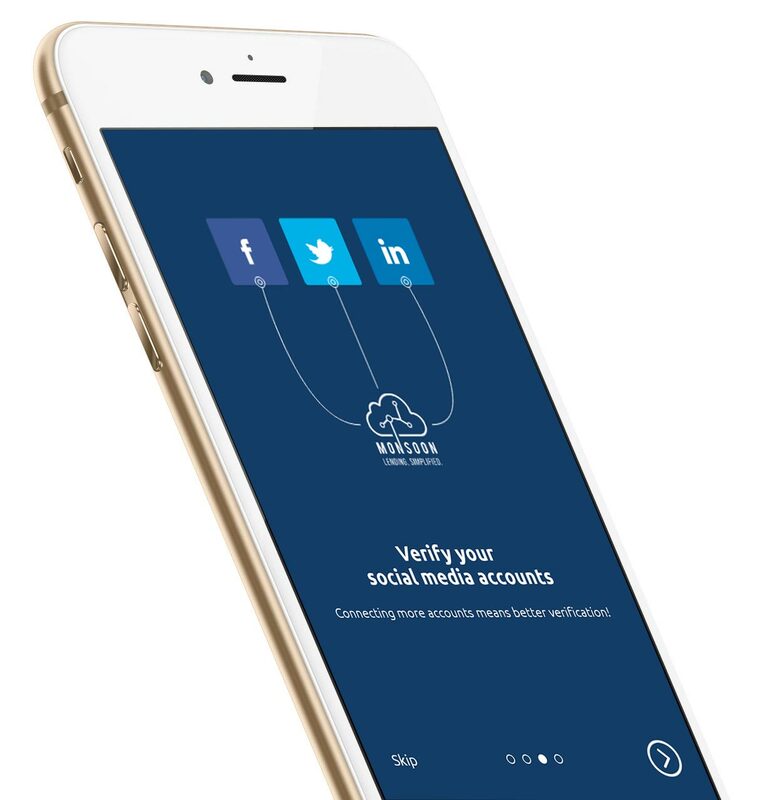 The Social score is generated using a user's social media footprint, which complements the traditional financial scores and bureau data. Our best-in-class algorithms analyses customer footprints across channels for a holistic view of the applicant’s propensity to default on a loan. People typically spend 4+ hours on their smartphones every day. Our smart models identify patterns in phone usage data to generate mobile scores that are highly correlated with loan repayment rates. Wait no more. Get your comprehensive digital credit score using Monsoon CreditTech’s app and get a better understanding of your chances of getting a loan. We put in place processes and safeguards to keep your data safe and secure. Rest assured, we will not share your data or spam you. 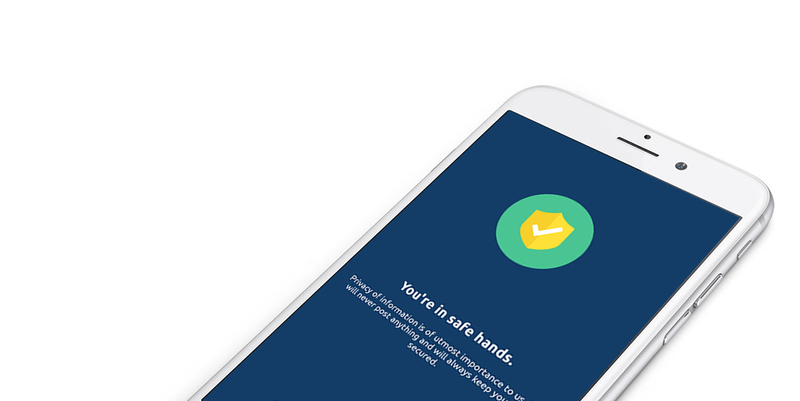 Our best-in-class security measures ensure that your data is in safe hands. Join over 10k loan applicants already using Digital Credit Score. 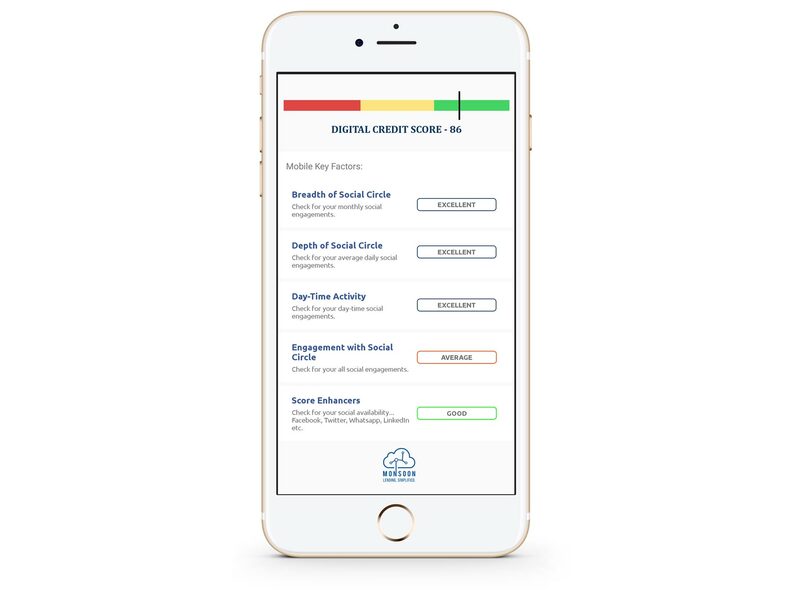 Get the Digital Credit Score App free forever! 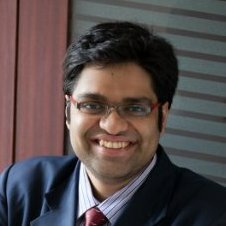 Monsoon CreditTech is a fast-growing FinTech company building produts using Artificial Intelligence for BFSI companies.